Sunday’s Spotlight is on my Western historical, Lily and the Gambler, currently free at Smashwords thru July 31. This story was inspired by a vacation my husband and I took through California’s Gold Country. I fell in love with the old gold mining towns, esp. Grass Valley, which I found especially interesting due to its strong ties to Cornwall. I decided I needed a Cornish heroine and an American hero, in the mold of James Garner’s Maverick. Another trip followed where I did research, including mine tours and visits to museums. At one point, my husband threatened divorce if I dragged him through another mining museum! The curse of living with a writer. Available at Amazon Kindle, BN/Nook, Kobo and #free at Smashwords thru July 31. 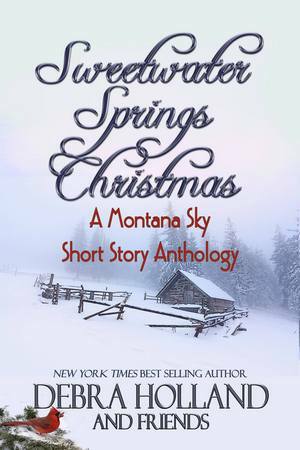 I’m excited to report that Sweetwater Springs Christmas by Debra Holland and Friends (including me) is now available in audio format at Audible.com!